National Bureau of Investigation officers escorted Ressa through a phalanx of media that poured into the Manila office of Rappler when news of the agents' arrival went viral on social media. 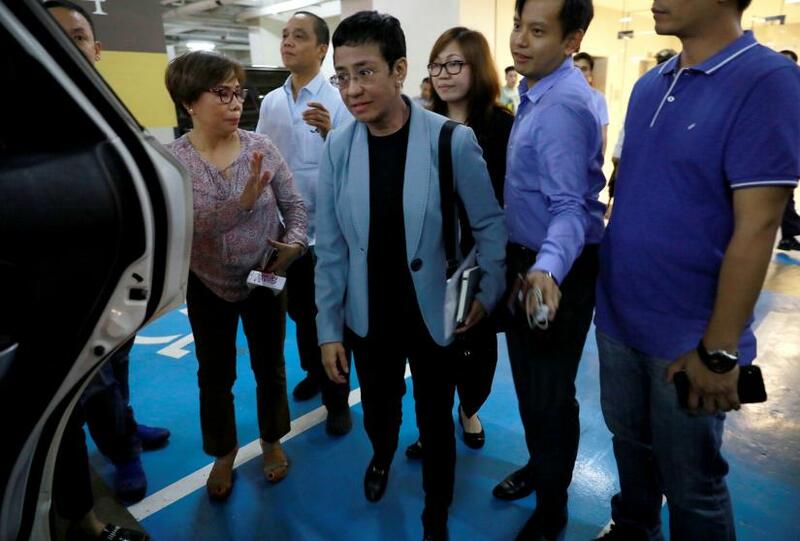 "People should know that the line has been crossed," Ressa told reporters, adding she would seek bail. Ressa was among several people named "Person of the Year" by Time Magazine in 2018 for leading what it said was Rappler's "fearless reporting on President Rodrigo Duterte's propaganda machine and extrajudicial killings", referring to his bloody war on drugs. Rappler has borne the brunt of what activists say is a state-sponsored campaign to intimidate Duterte's opponents by hitting them with legal measures, or subjecting them to a torrent of online hate whipped up by social media "influencers", some of whom held government posts. "This is nothing to do with freedom of expression or freedom of the press," he told news channel ANC. The United Nations was trying to gather more detail on the case, said U.N. spokesman Stephane Dujarric, adding: "The Secretary-General (Antonio Guterres) has always stood strong for freedom of the press and for governments to allow journalists to do their work." Ressa's arrest is the latest problem Rappler has faced. "These cases are intended to intimidate us," Chay Hofilena, Rappler's investigative editor, told media. "We know that's the intent, we are not buckling." Rappler's reporters are regularly threatened by elements of Duterte's online support base, part of what Rappler's investigations say is an organised "weaponising" of the internet by the government. The government denies that. He has called Rappler a "fake news outlet", and even suggested it might be linked to the U.S. Central Intelligence Agency. The National Union of Journalists of the Philippines called Ressa's arrest "a shameless act of persecution by a bully government".